On 10th March 2017 the Energy from Waste facility in Suffolk (a Lagan Construction Group, CNIM joint venture project) was awarded a Civic Trust Award. The prestigious award is given to projects that make an outstanding contribution to the quality and appearance of the built environment. 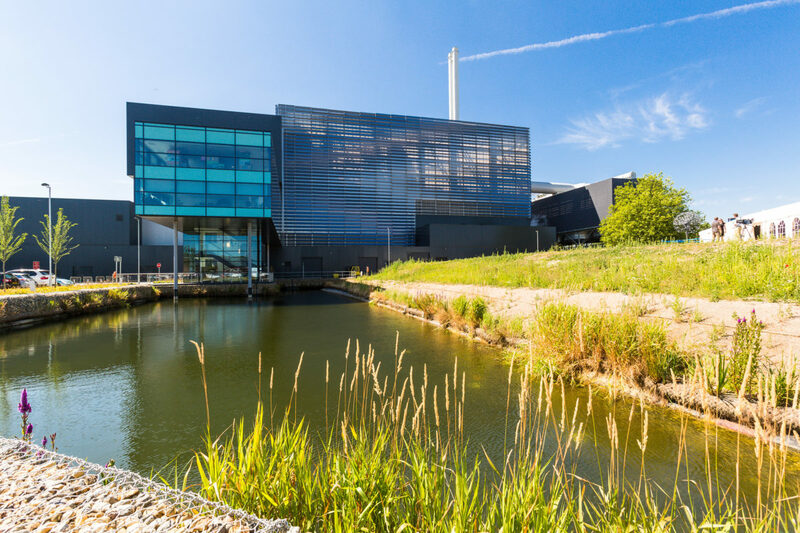 The Suffolk Energy-from-Waste facility provides an alternative to landfill by generating electricity from household and business waste. A Bottom Ash Recovery Facility cleans the resulting ash on site, which is then exported as raw materials fro sale or reuse as building products. The facility stands as a striking innovation in industrial architecture and creates a balance between infrastructure, nature and community with a state-of-the-art visitors’ centre and considered bio-diversity on site that complements its sensitive setting, and challenges the traditional perception of buildings of this type. The scheme is rated BREEAM ‘Outstanding’ and is capable of processing 260,000 tonnes of domestic waste per annum from the Suffolk region. To find out more about the award click here.